SWEDEN: The Language Council of Sweden said Tuesday it had removed the word "ungoogleable" from its 2012 list of new words because it refused to give in to the US company's demands to include the word Google in the definition. The list of new words in the Swedish language came out in December, including the term "ogooglebar", which was defined as something "which cannot be found on the Internet with the use of a search engine." The Language Council said Google had since then repeatedly contacted it to insist that the definition include a mention of the company's name. "Google has referred to legislation that protects trademarks and wants the Language Council to change the wording of the definition, introducing the name Google into the definition, and adding a disclaimer where we point out that Google is a trademark," the Language Council's head Ann Cederberg said. "We have neither the time nor the desire to engage in the long, drawn-out process Google is trying to initiate. 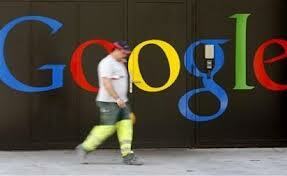 Neither do we want to compromise and change the definition of 'ogooglebar' to the one the company wants," she said. "That would go against our principles, and the principles of language. Google has forgotten one thing: language development doesn't care about the protection of trademarks," she added. "Today we are instead removing the word" from the list, she said.Google Sweden declined to comment when contacted by AFP. The Language Council, which is under the authority of the Swedish culture ministry, does not determine which new words are officially accepted into the Swedish language -- that is the role of the Swedish Academy. Instead, the council merely notes which new words are gaining popularity among Swedes.